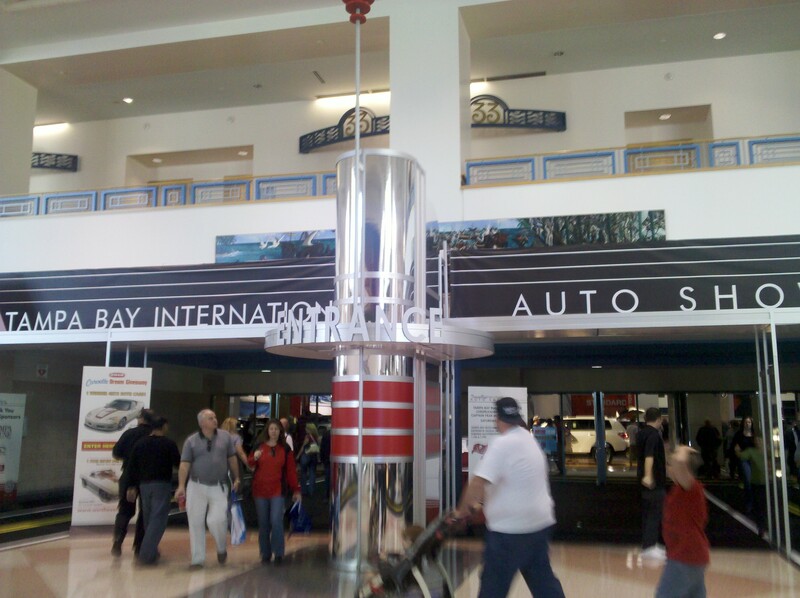 Last weekend, as you may have seen on the twitter feed, I was able to go to the big auto show that was in town at the Tampa Convention Center! As an car lover, I felt this wold be an excellent opportunity to see what the recovering industry had up their sleeves. It was a great time! Most known automakers were represented and had differing displays from the rather disappointing showing from Volkswagen to the gigantic 60,000 square feet of GM’s show. What I liked best about the show is that it’s basically like going to your local dealer- minus the test drive of course, but also minus the pressuring salesman! I could get in a car, look at the engine, look in the trunk, and ask questions if I wanted to without being bothered. 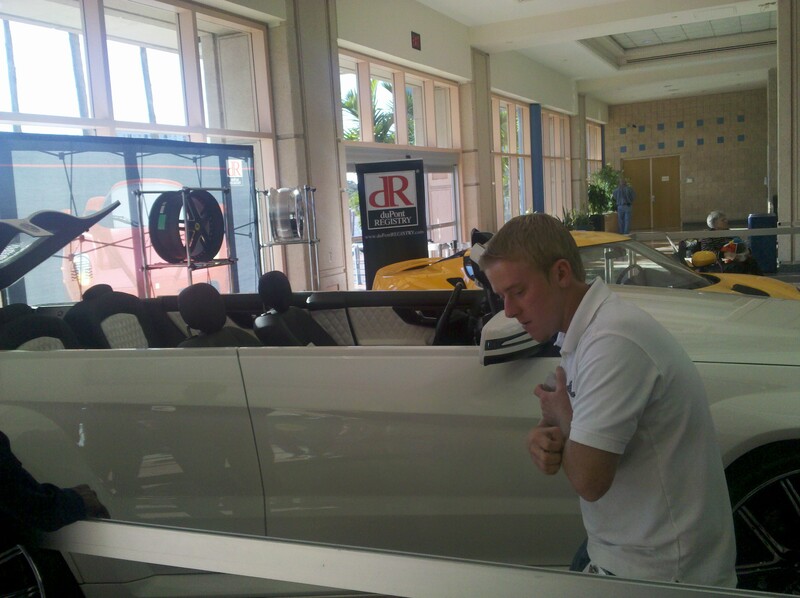 If you’re in the market for a new car and have an auto show coming to town, I highly recommend this way of researching. I’ll have to divide my coverage of the event into 3 posts, since it will be too big to make it into one. 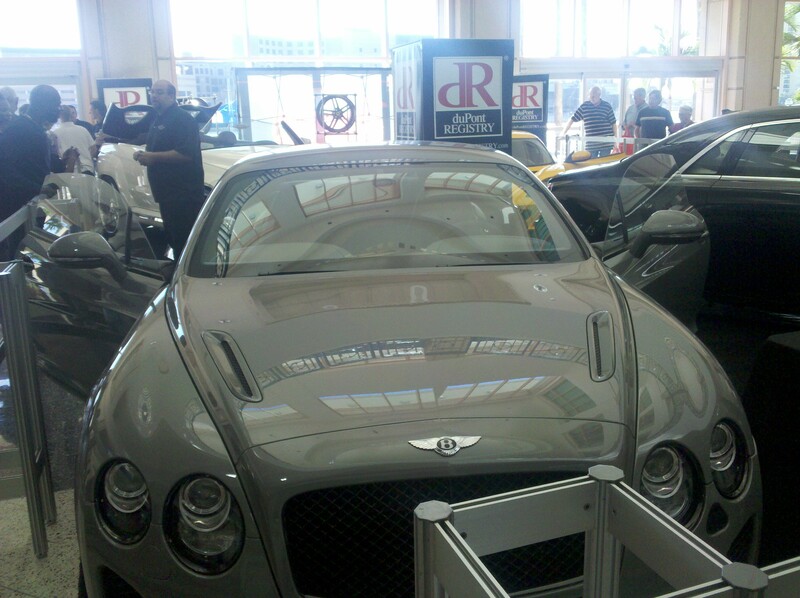 Being able to see exotics and other show cars is always an exciting factor. Sadly (and smartly), you aren’t allowed to sit and much less touch these cars. Upon entering the first floor, you were able to venture into a special section of the show, which had custom dragsters and collectibles. 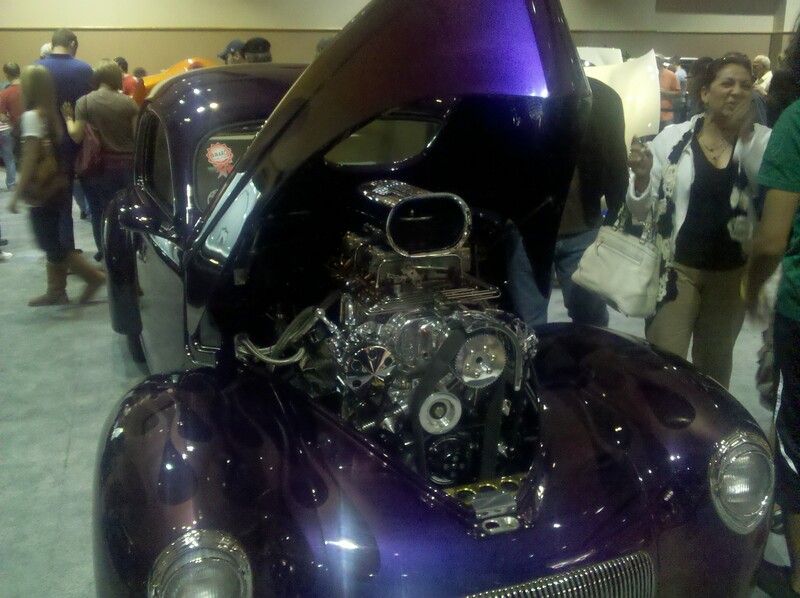 There were a handful of custom hot rods, made using old school chassis. Look at the engine on this one. the belts were wider than my hand. I cant imagine the amount of HP this baby makes. I should have taken a picture of the tires. Over 12 inches wide, at the least. This one was by far the most impressive. 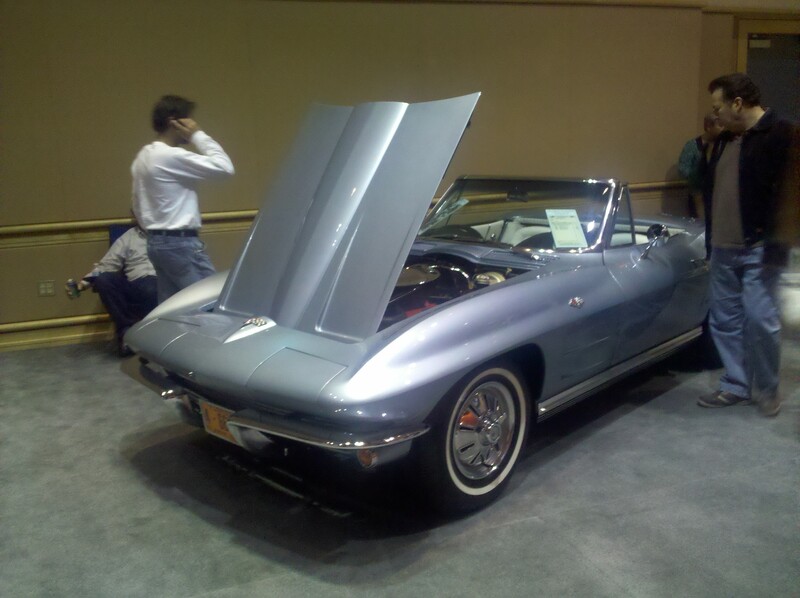 Up next was an old school Corvette convertible. I’m not exactly sure what year this one was, but I’ll guess and say its a body style from the 60’s. Clean car, and it seemed 100 percent OEM. Has to be worth 100K+. Speaking of Corvettes, someone had a very sharp C5 and had decided t to give it a Blue Angels theme after the notorious air show planes! 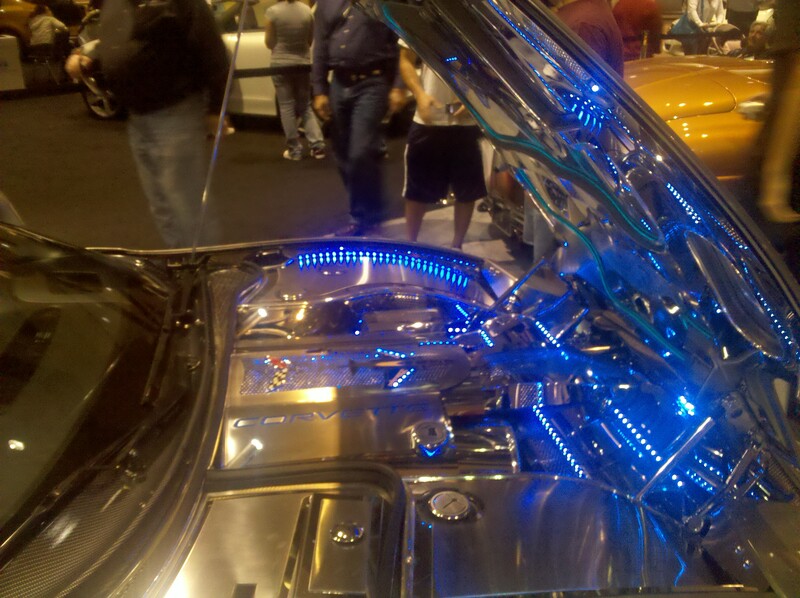 The custom lighting was most impressive, not to mention the intricate details that the owner had given the seats and mats. DuPont Registry had a nice little kiosk set up as well. The yad about 5 different Lamborghinis. This one caught my eye. 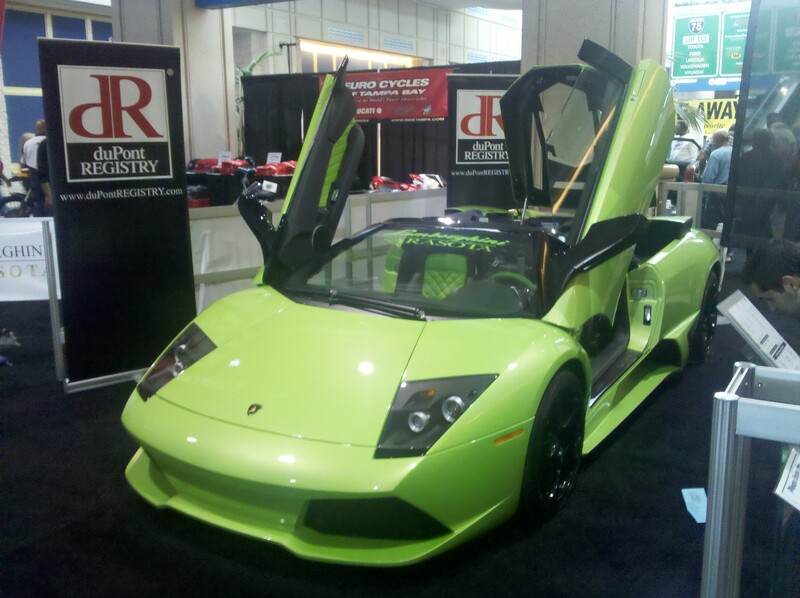 It’s either a Gallardo or Murcielago spyder. Love the color. If I were to get one of these, you bet it would have a loud color! Now this one was definitely interesting! Talking with that guy in the picture, we found out that that was basically a Mecedes Benz SUV with the roof chopped off! It’s not a production car, but they do take orders for it, apparently. It was very sharp, but would be tough here in Florida due to it not having a roof! Yes, you read that correctly. It is NOT a convertible! It literally does not have a roof! 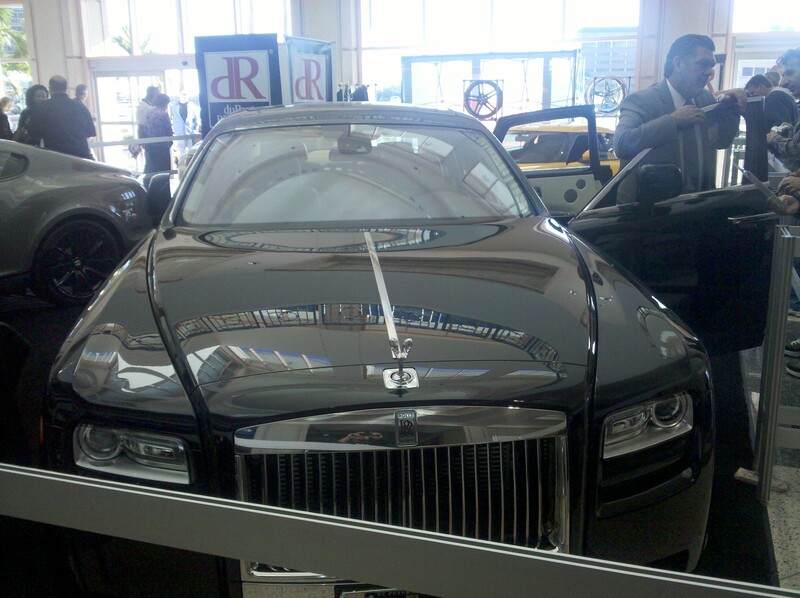 And Rolls-Royce with it’s new Ghost. We’ll do Part 2 later this week, which will be a look at the imports that were at the show! Streaming Event Scheduled: USF Car Meet! The Heap will be live at the last USF Car Club meet for the semester! 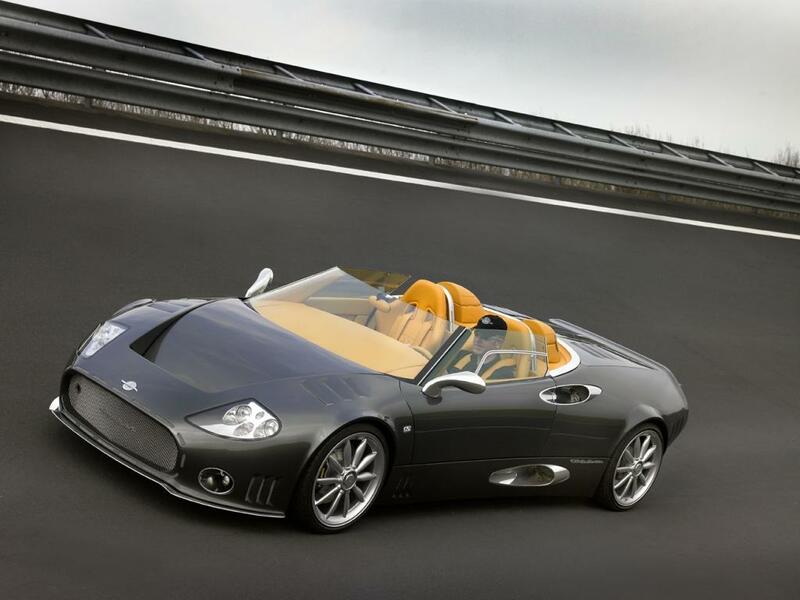 There should be over 1oo cars present, including an infamous Spyker! I’ll be joining up with some friends beforehand and cruising in to the Collins parking garage if anyone wants to check it out! Meet will start at 9pm! So you can expect live sessions any time in between 9 and 11ish TONIGHT. It’s a shame that it isn’t in a few weeks because have finally bought a set a wheels for my TL! I will be heading over to Orlando in the morning to pick those up, so I will have pics as soon as I get back home! I am very happy that I found them, as they are the particular style I wanted. You can also expect a post in the next week or so with a general timeline of mods to be done to the car. The TL Project is full steam ahead finally! Here’s the long awaited first post of the UCBC- the quest to determine the best car for me! 16 cars will vie to be number 1 in the tournament, and most importantly: Number 1 in my heart. We start with the “4 Seeds,” who are heavy underdogs. And to be honest, most of them were added to the master list just so we could have 16 cars… Though upon their addition, I have developed a soft spot for them. They are, all 4, solid cars… but they more than likely wont make the cut. VW engineers hit the drawing boards and labs for the virtual over hauling of the VW design for the 2006 fiscal year. The current Passat, Jetta, and Rabbit were all born from these engineering refinements. The Passat is big and spacious. While it’s European heritage likely translates into higher maintenance and fuel costs, it is tough to beat the new look. What’s funny is that past designs of the respective vehicles were actually viewed similarly. While the old Passat was a little bit smaller, it had a unique look. Style, safety, and name all make it a worth competitor! I think the link at the bottom of the picture explains it all. Nevertheless, Nissan’s Altima continues to be an extremely dependable car. Its recent redesign and the introduction of a coupe only strengthens this “family” car’s position. The availible 3.5 L engine does try to add a little bit of oomph. The coupe, which isn’t pictured, looks incredibly sharp. Safe, slick, and fuel efficient are the keys for Altima’s success in the tournament. Chrysler’s redesign of the 300 was an instant hit. The design beckons comparisons to Bentleys and Rolls Royces, and is perhaps one of the most consumer customizable cars ever produced. So basically, your 300 is as nice as you make it to be. Another plus is available engines. It can come with a HEMI. Yes, the most famous of engines. The high end 300, the SRT-8, comes with a 6.1 L engine and 425 HP. Brutal. Both on the racetrack and gas station. The newest edition of the Mitsubishi Lancer look MEAN. Again, mods are key for this car. While its not my favorite of the batch, could its sharkish looks be enough to sway me? So there you have it, the “4 Seeds” have been announced. “3 Seeds” tomorrow? We shall see. Today, I am up for a likely raise. After proving my ability for 6 months (a long 6 months at that) I will be reviewed today! So, in much deserved (and delayed) jubilation of graduating a year ago as well as being successful in my line of work, I have been thinking about getting a new car! But now, which car should I get? There are countless used car dealerships in my area. How will I able to decide what suits me, especially since I will hopefully be able to afford a nice used car. Survivor. The Biggest Loser. The newly created X’s and O’s. There are a plethora of reality TV shows which pit contestant against contestant, often in grueling competiotion, to ultimately find the champion. So why not do this for my own car buying quest? Later this week I will be starting a new segment. The Ultimate Car Buying Championship (UCBC) is an exclusive The Heap tournament of 16 car finalists. There will be four 1,2,3 and 4 seeds. 1s will match up against 4s in the first round, and 2s against 3s. For each match up, there will be a comprehensive review, research, comparion of stats, and a media portion- pics and youtube videos. And of course, I will get to use WordPress’ POLL feature! YOU willI’ll see if I can come up with some sort of rubric later, but it will be along those lines. I’ll be announcing the seeds throughout the week with the tentative first match up this weekend!